If you’re looking to upgrade to your next cooker, you’ll need our latest freestanding and range cooker reviews. We’ve got new test results for models from AEG, Belling, Stoves and Zanussi. One of the 10 freestanding cookers we tested this time round impressed so much that it’s shot to the top-scoring spot with an impressive 74%. We also tested six range cookers, one of which was made a Best Buy. Read on to find out more about the models we’ve tested, or go straight to our freestanding cooker reviews and range cooker reviews to see all of our top-rated cookers. This freestanding induction cooker has a multi-function main oven, top grill oven and hob with four cooking zones. 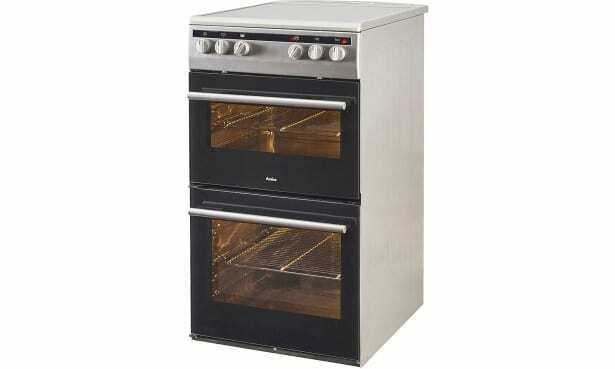 Its typical price of £929 makes it one of the more expensive freestanding cookers we’ve tested. Cookers with induction hobs traditionally score well in testing because they can heat water quickly but also simmer food gently. But if the ovens are inaccurate or the grill is patchy, that can still affect the overall score. Read our full review of the AEG CIB6740ACB to see how it did. 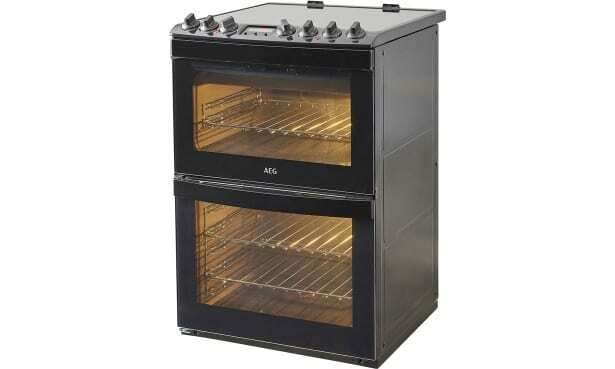 The Belling FSG608DC is a gas cooker, with a main oven and smaller top gas and electric oven for grilling. It’s also got catalytic linings to absorb cooking grease and burn off at high temperatures. When we’ve tested gas cookers in the past, they’ve produced fluctuating results with a tendency towards the lower end of our scores. They’re usually fast to preheat, but temperature accuracy and heat distribution in the ovens can be patchy. Find out if this gas cooker has bucked the trend and scored well by reading the full review of the Belling FSG608DC. This freestanding electric cooker with ceramic hob from Amica measures 50cm. Most cookers and ovens are 60cm, so this is a good choice if space is tight in your kitchen. However, a narrower cooker means less space both in the ovens and on the hob for cooking, which can affect scores. Read our review of the Amica AFC5100SI to find out how easily you’ll fit your roasting dishes in, and if the oven, grill and hob are any good. 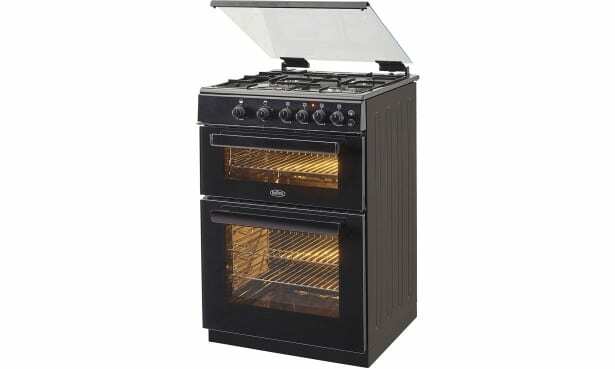 You should have plenty of choice on ways to cook your food with this Richmond range cooker from Stoves. It has four ovens, including a multi-functional, conventional, grill and slow cooker oven. We spotted a couple of issues with heat distribution in one of the ovens, but it’s also delivered good results in other areas. Find out if this cooker is a good cooker by reading the full Stoves Richmond S1000ei review. Measuring 110cm across, the Stoves Sterling Deluxe S1100DF has two large main ovens, plus a smaller conventional oven with grill and a warming compartment for warming plates or proving dough. Spacious ovens are important for knowing that come Christmas Day, you’ll be able to squeeze in all the dishes you want, including the all-important turkey. We check what size dishes and roasts you can fit into ovens, and whether you’ll also get a tray of roasties in at the same time. Read the full review of the Stoves Sterling Deluxe S1100DF to find out how it fared. 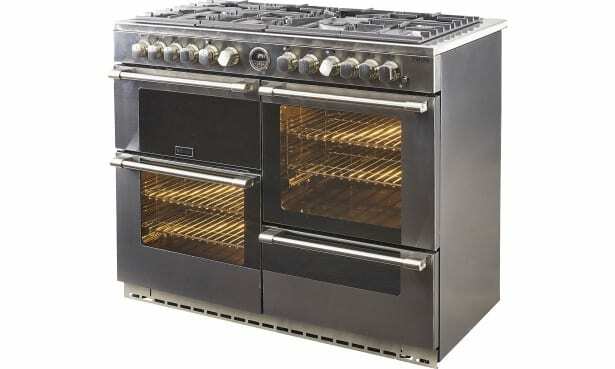 The tests we put freestanding range cookers through are the same as those used for individual built-in ovens and hobs. Will the oven in the cooker heat up quickly and spread heat evenly? How much can you fit into each cooker’s oven? How evenly does the cooker’s grill brown food? How effective is the cooker’s hob? Is the cooker easy to use and energy efficient? We check this by carrying out a range of tests including testing the temperature accuracy in the main ovens, baking some shortbread biscuits and a sponge cake to see how well the heat is supplied to the oven and whether it’s distributed around the cavity evenly. We fill a grill pan with bread, right up to the edges to see if the heat from the grilling element provides decent coverage. We heat up a pan of water and time how long it takes to boil, and simmer some baked beans for 15 minutes to see if the gentlest heat on the hob is low enough so food doesn’t stick. We also check if the cooker is easy to clean, and whether it’s an energy hog, or cheap to run. 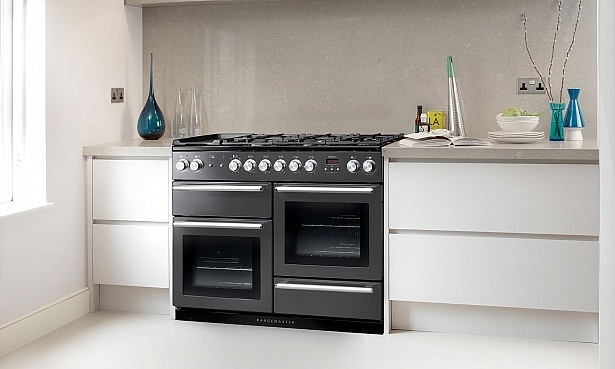 A freestanding cooker must score 68% to be a Best Buy, while a range cooker must score 66%. Read more on how we test cookers.